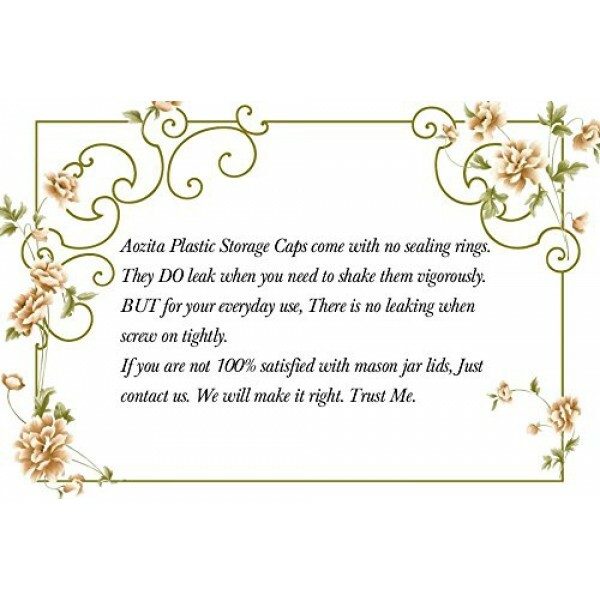 24 REUSABLE PLASTIC MASON JAR LIDS - 12 for wide mouth mason jars, 12 for regular mouth. 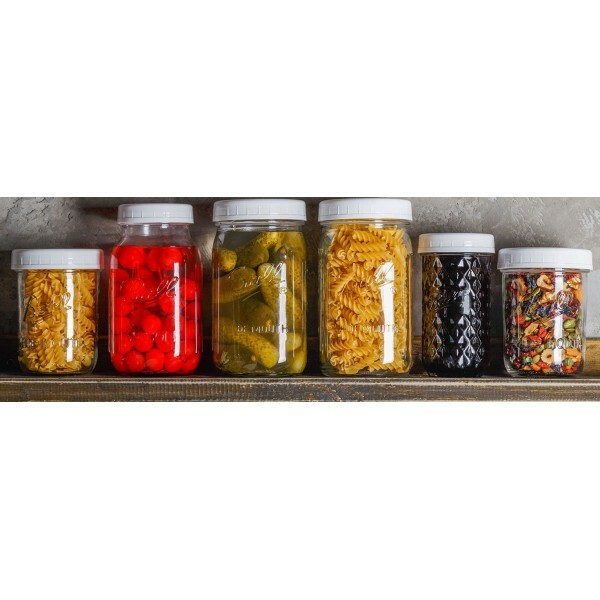 Fits BALL or KERR Branded Regular Mouth Jars and Wide Mouth Mason Jars. 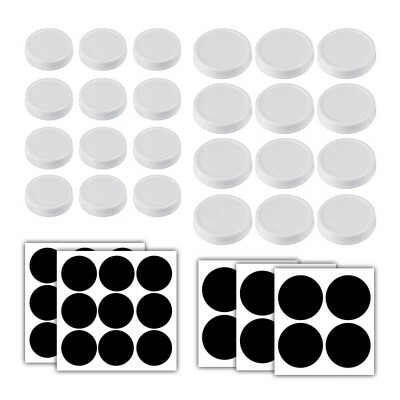 24 CHALKBOARD CANNING LABELS FOR PLASTIC STORAGE CAPS- 2.0" / 2.5" in diameter - Food Storage, Pantry, Spice & Freezer! 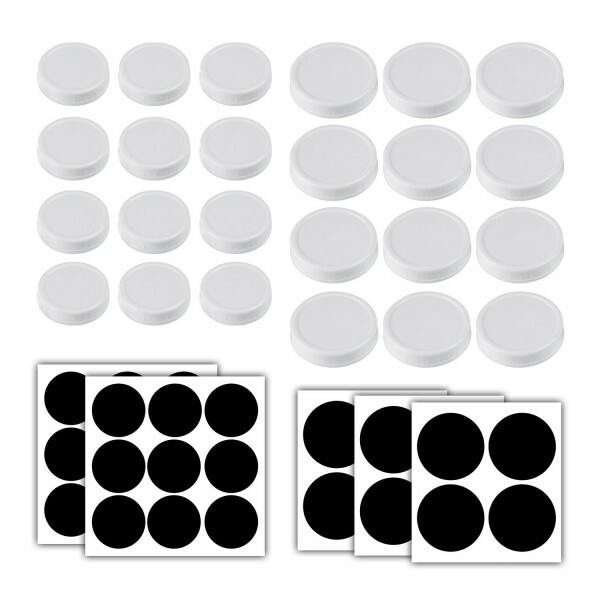 - Easy to write, erase and relabel with chalk markers. Simply wipe clean with a damp cloth. 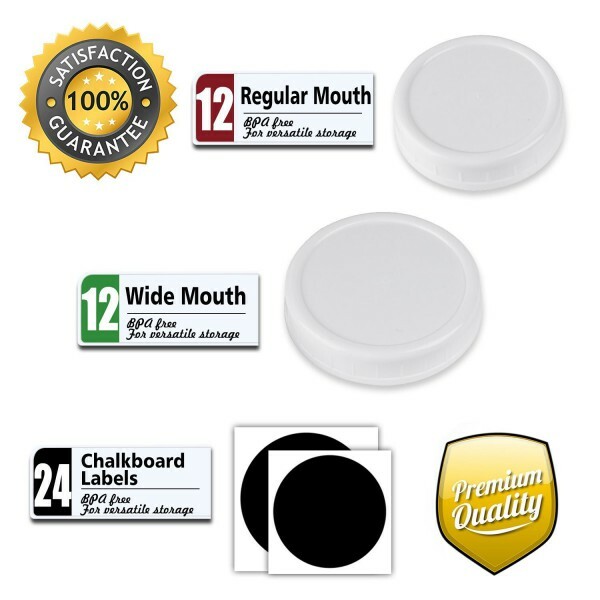 VERSATILE STORAGE - Perfect for the freezer and refrigerator as well as dry storage. 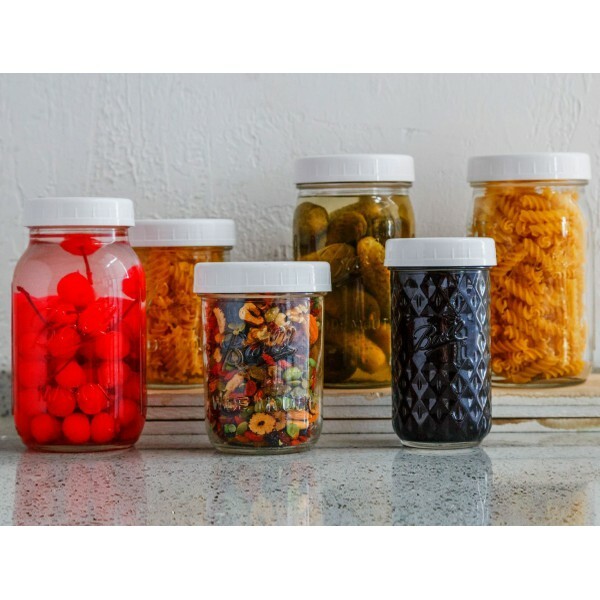 Ideal for storing or freezing both with Regular Mouth Glass Preserving Jars and Wide Mouth Glass Preserving Jars. 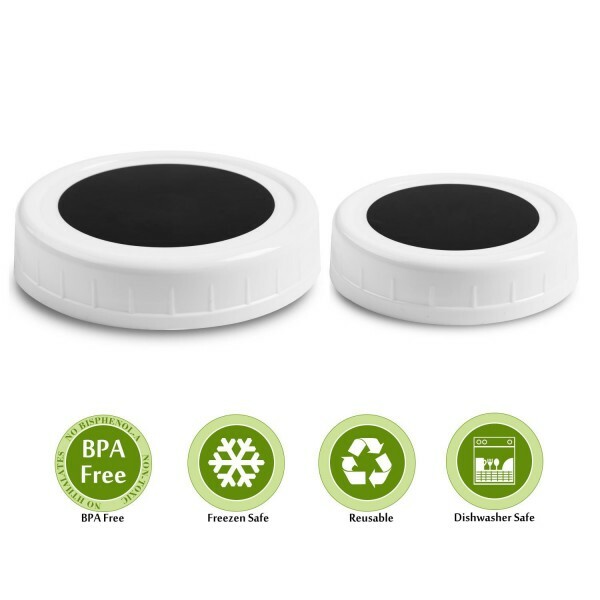 DISHWASHER SAFE - BPA free, Medical grade - Temperature tolerance up to 240 ℉.